Discount available! 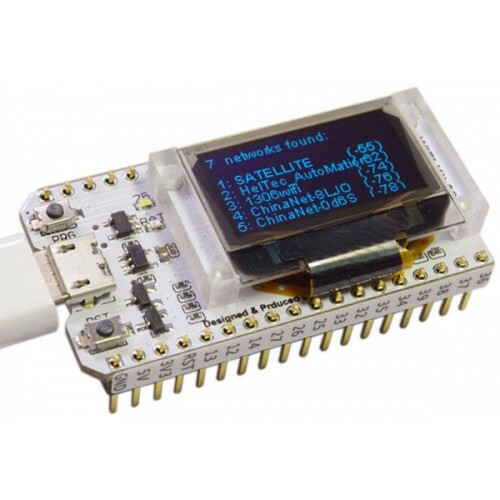 Recommend ESP32 with OLED display 0,96 inch to your friends and get your Discount. 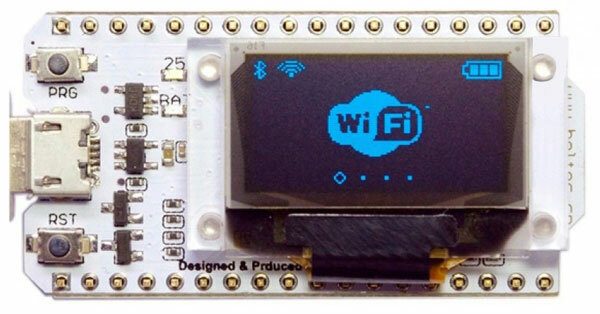 Development platform based on Espressif's ESP32 chip, a 32-bit Dual-Core Tensilica LX6 microcontroller with a 240 MHz clock frequency, 520 kB internal SRAM memory, Wi-Fi 802.11 b / g / n , Dual-mode Bluetooth (classic and BLE) and 28 I / O pins. On the board there is also a 32 MB flash memory, Wi-Fi antenna, a 0.96-inch OLED display, lithium battery charging circuit and interface, CP2102 USB to serial chip, two push buttons (one for reset and the other for GPIO 0) and 2 status LEDs. Ideal for IoT applications (Internet of Things), it can be programmed using the Arduino IDE. The package also includes two 18-pin strips and stickers with the number and type of pins (TX, RX, GND, 3V3, 5V, RST).